Bengaluru: Karnataka BJP MLAs have returned to the state from Gurgaon where they were lodged in a private resort for the past a few days. State BJP president B S Yeddyurappa had asked all 104 party MLAs to return and they flew back to the state late Saturday night, BJP MLC Lehar Singh told PTI. "Some of them have directly flown back to their constituencies and others including former deputy chief ministers R Ashoka and K S Eshwarappa returned to Bengaluru," he said. With the Congress on tenterhooks to keep its numbers intact, the party's MLAs are remaining sequestered in a resort on the city outskirts fearing a poaching bid by BJP. 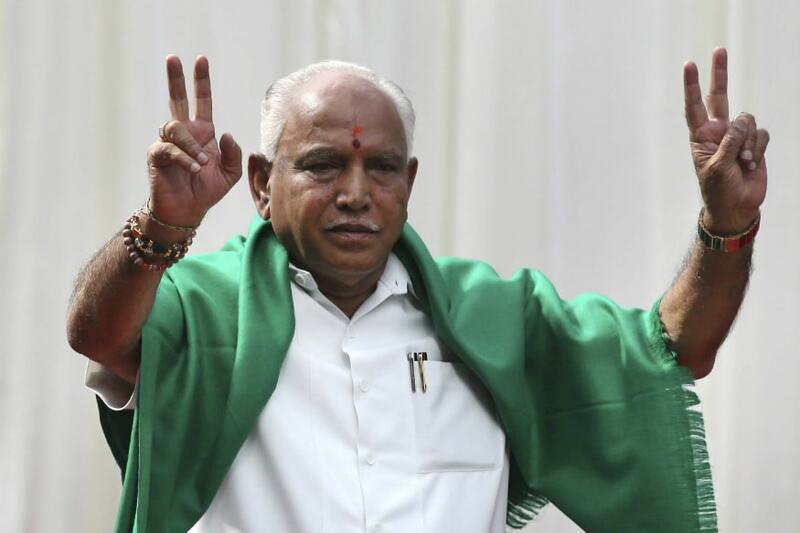 Yeddyurappa had said BJP would not destabilise Karnataka's ruling coalition. Top Congress sources had said Friday that at least eight party MLAs have "committed" themselves to BJP. The BJP also announced that a seven-member team led by Yeddyurappa would tour drought hit districts from Monday. CLP leader Siddaramaiah had welcomed Yeddyurappa's decision to call back all BJP MLAs and asked him to "walk the talk" on not trying to destabilise the ruling coalition. "I welcome Yeddyurappa's decision to call back the BJP legislators from Delhi and send them to monitor the drought management in the state," he said in a tweet in Kannada. Congress minister D K Shivakumar said he was in touch with all the MLAs. Asked about senior ministers resigning to accommodate disgruntled legislators in the cabinet, he said, "I have voluntarily offered (to resign)...in the interest of the party. If my leaders want, I'm ready."